I like the photo, nice collection of meds gone by. They still make and sell that corn huskers lotion. I bet a lot of the rest would be considered illegal to sell now. My mother used to put Corn Huskers on my sunburns when I as a little boy. …and she kept it in the refrigerator. Whoo! Cold, but nice. Hard to believe that people actually saved this stuff. Interesting though! Pretty cool. 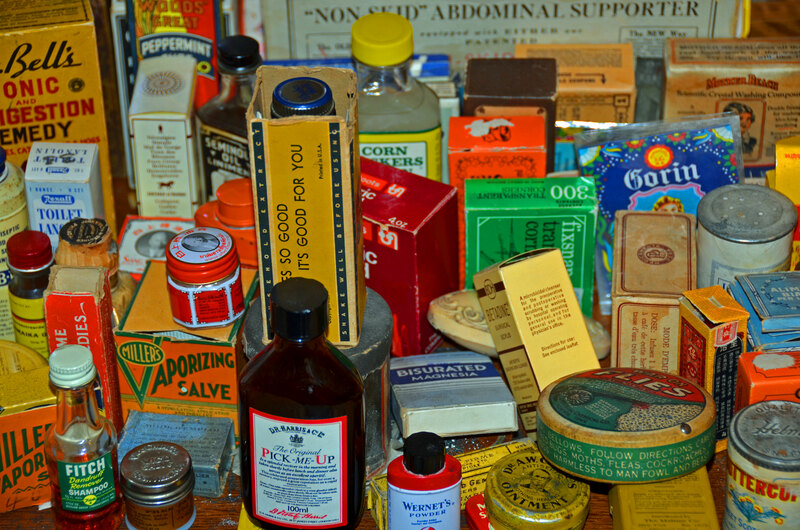 We went into a pharmacy museum of sorts in St Augustine Florida. It is fun to see these things. 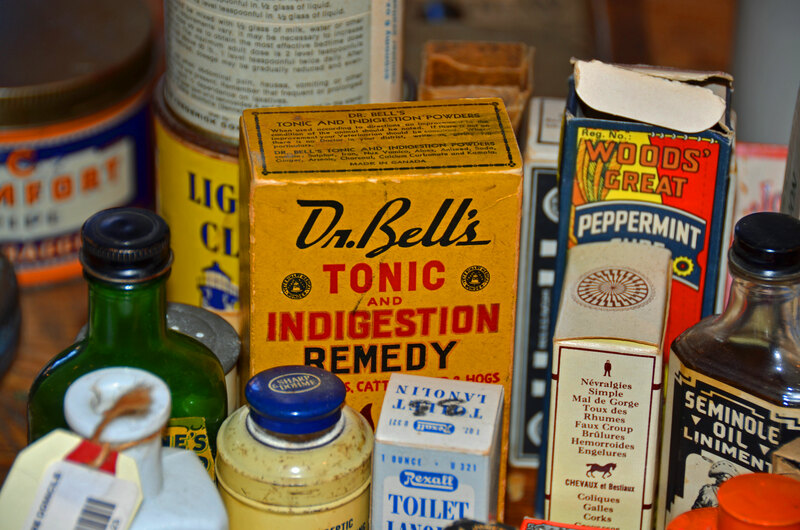 Fun to compare to some of our current remedies! Thanks for sharing these wonderful memories!